The Monza range is a concise, yet delightfully contemporary collection that offers both a level of comfort as well as an undeniable element of style. Consisting of a modest chair, a cosy two seater sofa, a spacious three seater sofa and an accommodating sofa bed, the Monza collection serves as the perfect means of redecorating a living room or a guest bedroom. 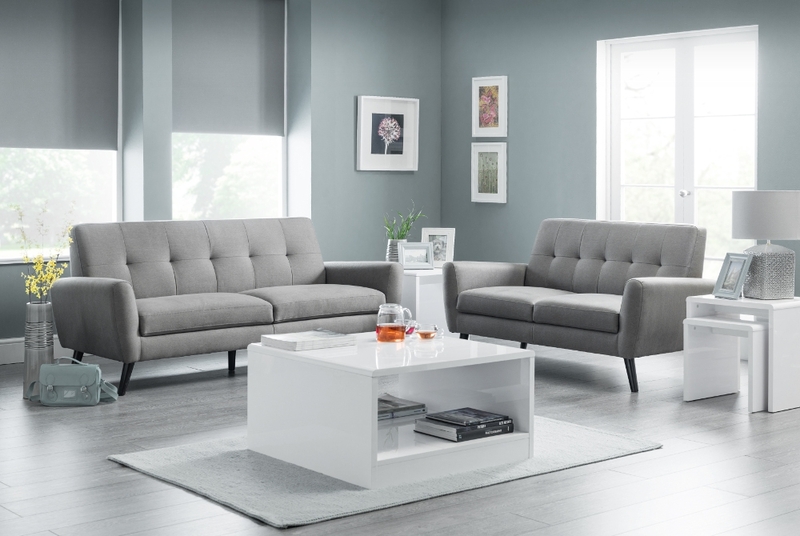 Designed with a rich, grey fabric and consistently buttoned upholstery, the Monza range offers homes a regal yet subtle degree of modern style. Each item from the Monza collection features a wealth of padding as well, making the range as comfortable as it is eye catching. For the sake of convenience, everything within the Monza collection requires minimal self-assembly, with only the legs needing to be attached. The construction process is relatively stress free, thanks to the comprehensive instructions that come partnered with each and every selection.